Tooth extraction and oral surgery, especially wisdom tooth extraction, don’t need to be expensive, difficult procedures. At Neighborhood Family Dentistry of Utica, NY, we strive to make each extraction and surgery as affordable and convenient as possible so that our patients have the best dental experience possible. Call (315) 797-0030 to make your appointment! Why get a tooth extraction? Tooth extraction is a last resort measure necessary when a tooth is no longer restorable or viable. Sometimes, the tooth has been decayed or fractured to the point where no dental intervention can adequately restore it. Teeth may also lose the support they need to function, become improperly aligned or impede orthodontic procedures. Some patients even have stubborn baby teeth that block the emergence of their adult teeth. In all of these cases, extraction may be the best option. 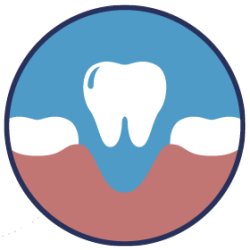 Why get wisdom tooth extraction? The problem with wisdom teeth is that there generally isn’t enough room in the jaw for them to emerge an maintain proper tooth alignment. The teeth begin to emerge improperly, causing pain and discomfort throughout the mouth and jaw. If the issue is serious enough, your dentist will suggest wisdom tooth extraction. What happens if you don’t get wisdom teeth extracted? Some people have enough space in their jaws and mouth to accommodate their wisdom teeth and they end up just fine, though they often struggle to keep their wisdom teeth clean, which can lead to hard-to-reach cavities and other issues. Because of these issues, wisdom teeth can be prone to infection. On a day-to-day basis, wisdom teeth can just be annoying. For instance, many patients who keep their wisdom teeth bite the insides of their cheeks all the time because of malalignment. During a non-surgical extraction, your dentist will administer local anesthetic to numb the area around the tooth before loosening and finally removing it. Surgical extractions may also involve the removal of additional bone and tooth structures in order to reach the tooth and properly remove it. Most patients recover in about a week barring any complications. Aside from removing teeth, oral surgery can also be necessary for the placement of dental implants, the biopsy of tissue or a variety of other procedures. What kind of oral surgery can Neighborhood Family Dentistry perform in-house? Dr. Erin Brown and the team at Neighborhood Family Dentistry can perform most non-surgical and some surgical extractions in-office. In the case of multiple or especially difficult extractions, or if the patient requires sedation, we may refer the patient to a specialized oral surgeon. If you need a tooth extraction or any type or oral surgery, call Neighborhood Family Dentistry today at (315) 797-0030 to make your appointment!